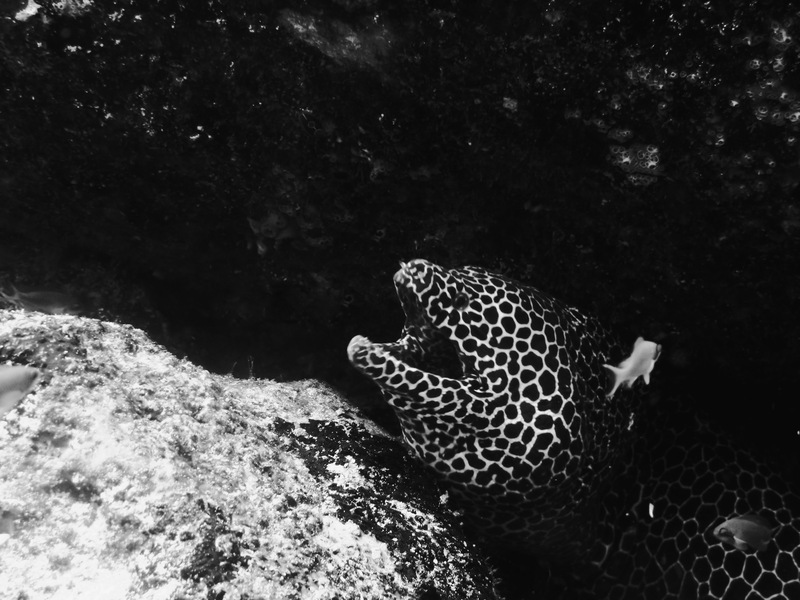 Well, I’m gonna start my first post about this amazing adventure my dive buddy Harris Hisham and I had at the west of Sumatra – Pulau Weh, Aceh. Weh Island is located in the Andaman Sea, where two groups of islands, the Nicobar Islands and Andaman Island. Pulau Weh is a tiny tropical rock off the northern tip of Sumatra and western most point in Indonesia. The majority of the population are the Acehnese and the rest are the Javanese, Minangkabau, and Batak. The main religion is Islam and also there are some Christians and Buddhists on the island too. it is very easy and kinda cheap, I’m sure for backpackers/travellers too. Since I’m from Kuala Lumpur, Malaysia I just took a flight from the Low Cost Carrier Terminal (LCCT) straight to Banda Aceh Airport. For travelers coming from or heading to north of Malaysia, there’s also a 4 times a week direct flights from Penang to Banda Aceh via FireFlyz. 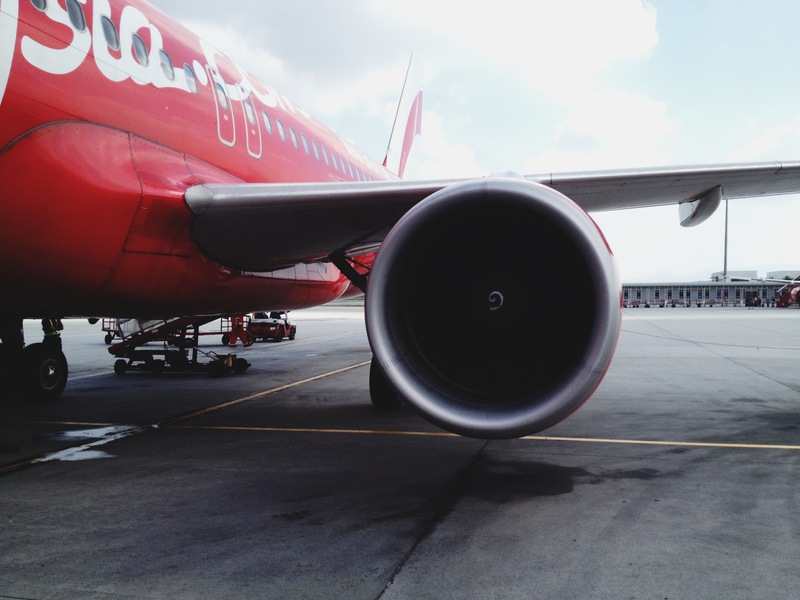 We took AirAsia, since is the cheapest and easiest way from Kuala Lumpur and I think it is much more convenient and faster for everyone to go by this airline. You can check the tickets via AirAsia or just go straight to the LCCT airport. From Banda Aceh Airport, I took a taxi to the Ulee Lheue Pier around half an hour journey. 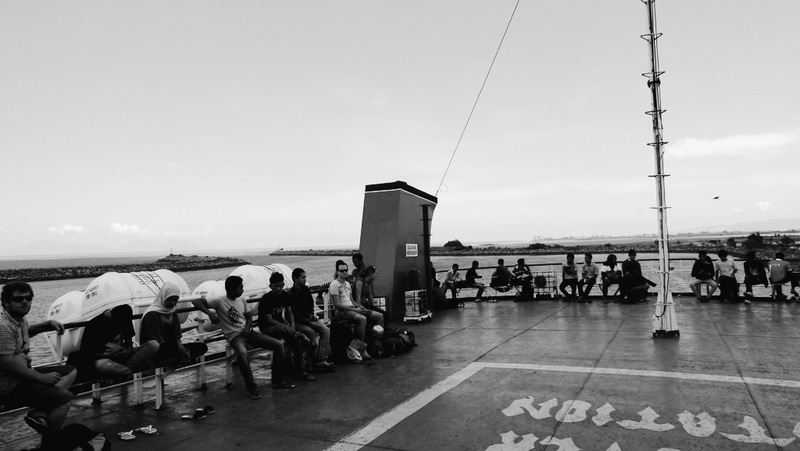 The only way to get to the island is by a boat – The fast ferry, 1 hour journey Rp 60,000 – Economy, 70,000 – Business and 80,000 – VIP leave in the morning and in the afternoon if I’m not mistaken or you can go with the Slow ferry, 2 and a half hour journey Rp 18,000 – Economy, 26,000 – Business and 32,000 – Executive. At first we wanted to try the slow ferry, just for our experience’s sake and it was not a good idea because we can’t even get a seat, we had to rest on the upper deck with no shades, and direct sunlight the whole journey was not cool. I don’t recommend you go with the slow ferry because it’s a waste of time, and it depends on your luck to get a seat, seriously. Travelling from Balohan Port to Iboih costs roughly around Rp50,000 in a shared minivan about 1 hour drive, the drivers around the island are speed demons but the journey was AWESOME! at one point, I kinda thought I was in a roller coaster for a second lol. 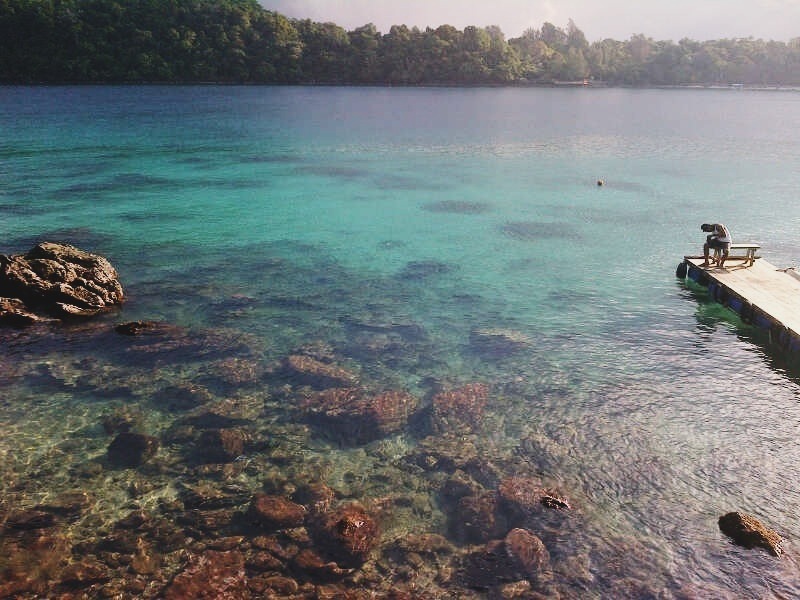 There’s nothing much to see in the city of Sabang (santai bangat). 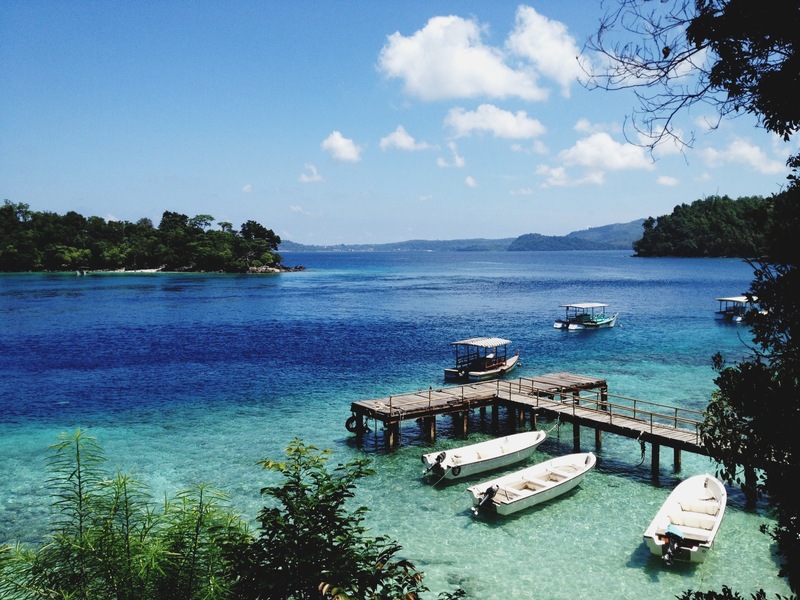 The main reason to go to Pulau Weh is for the beaches, relaxing, snorkeling and diving. the best sea view chalet and the best place to relax. The room is very comfortable, the toilets are clean, WIFI available and it’s free. The awesome part is the rates are just ridiculously cheap. We spent about more than a week there, the owner (Kak Saliza and her husband) was very friendly and nice to us, we seriously felt like home staying there. I would recommend you to stay at this chalet and check out the website here Iboih Inn for inquiries and reservations. Diving at Pulau Weh was quite an adventure for us. 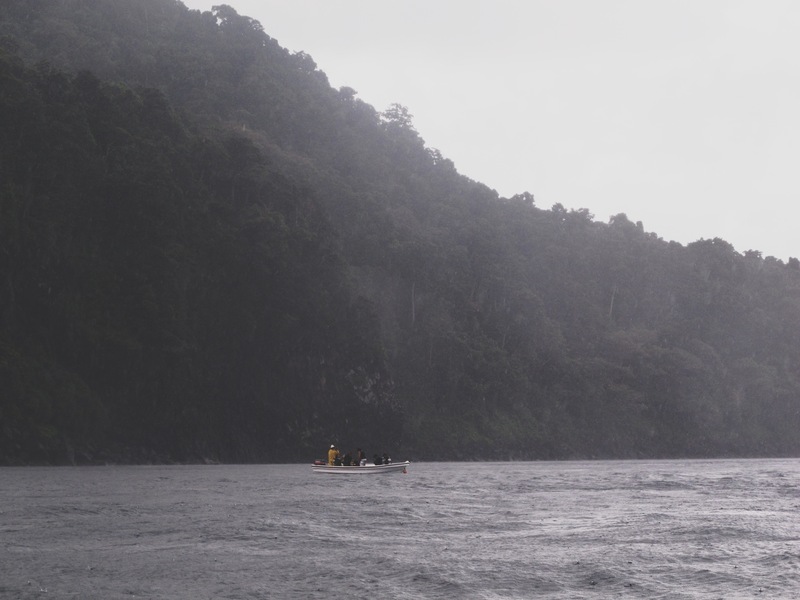 The waves and currents underneath was so strong, we felt like we’re in a washing machine at one point – the current was pushing us everywhere from left to right then up and down. It was crazy, but that dive was one of the best dives my buddy and I ever had. We we’re so excited cause it was our first time dive around the Andaman Sea, and I still can remember how clear the water was around there, the visibility was so clear and everything was beautiful. There are several dive shops on the island. Rubiah Tirta Divers is the only dive shop around Iboih, they are the oldest dive shop on the island. Diving with them was a great honour because they are one of the dive shop that survived the tsunami waves back in December 2004 that wiped almost everything they got and they managed to build everything back up. The crews and instructors and dive masters are all very friendly, they have very interesting knowledge about underwater and diving, even though they are locals but we learned a lot from them. 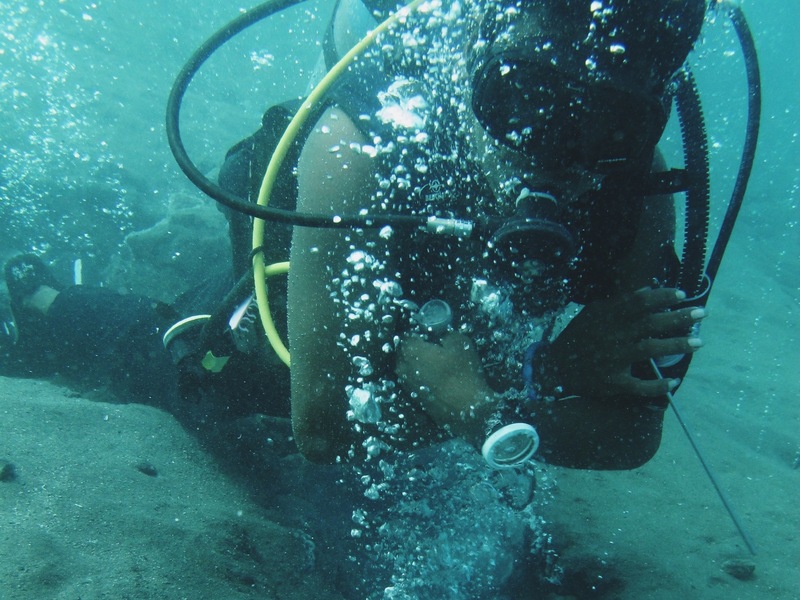 The diving rates are super cheap and their services was very good. If you are interested in taking Open Water or an Advance Open Water course, the price is quite good compared to other places. For more information and further enquiries, check out this page Rubiah Tirta Divers.